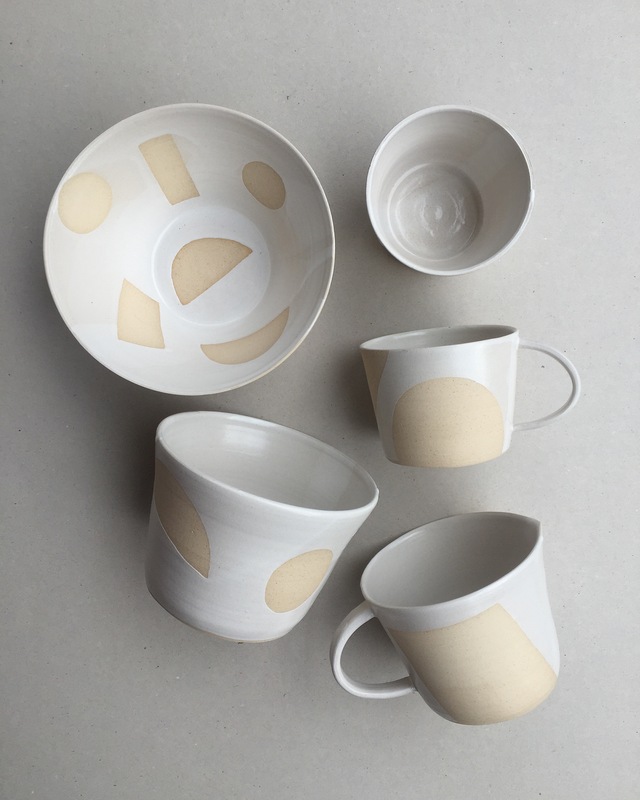 We caught up with alumna, Hannah Bould, who studied BA Illustration at Camberwell and is now a Potter. We asked her about her time at Camberwell and how she got into the world of pottery. Why did you choose to study at Camberwell College of Arts? I had friends who were on the Foundation course at Camberwell so I used to hang out there quite a bit, I did my Foundation at Byam Shaw and found it a bit limiting, Camberwell felt completely different and had a lively atmosphere. What did you enjoy most about your time at Camberwell? I loved working in the print rooms and spent the last two years of my degree printmaking, mainly etching, lithography and monoprint. Aside from that, the network of people I met whilst I was there was probably the most valuable part for me, it was such a fun three years! Did you have a favourite local place to go in either Camberwell or Peckham? I remember spending a lot of time at the Hermits Cave and sitting on the steps at the front of the college! The gentrification of Peckham and the surrounding area has been commented on by past and current students; do you have any comments about it? It’s definitely changed a lot since I was there, I was keen to get out of South London after graduating but now I really like hanging out there. I feel that Camberwell in particular has changed for the better, with new places like Daily Goods, the Camberwell Arms and Theo’s opening, it’s nice that younger generations have seen the potential of the area and have set up businesses with a real sense of community. Having said that I’m not sure that I’d be able to afford to live in that area now! Did you practice illustration a lot/or at all after leaving Camberwell? I don’t think I particularly practiced illustration on my degree. Luckily the course was so broad and Darryl Clifton (Course Leader) and the tutors really encouraged us to explore different disciplines, I didn’t feel like I was being shoe horned into a specific style or practice. I’ve always been driven by process and content has come secondary for me, which is why I devoted my time to printmaking whilst at Camberwell. In third year I did a placement at Pauper’s Press, a fine art print studio in Hoxton and continued working there for the next six years. I didn’t make much of my own work for a while after graduating and felt I needed a new outlet so decided to get into ceramics. Could you tell us about your current practice? I work out of a studio in my parent’s garden, making functional stoneware ceramics on my wheel. I sell on my website and stock my work in eight shops, currently. I’ve always worked in black and white and I think that automatically gives my work a signature. Looking back through my work I can see a direct correlation between my prints and my pots, the imagery is basically the same just realised in a different form. How did you get into pottery and ceramics? It was serendipitous that directly above Pauper’s Press where I worked, there was a ceramic evening class, run by Stuart Carey (of the Kiln Rooms in Peckham). I’d done after school pottery classes as a kid and wanted to get back into it, after being introduced to throwing on the wheel by Stuart, I was completely addicted. 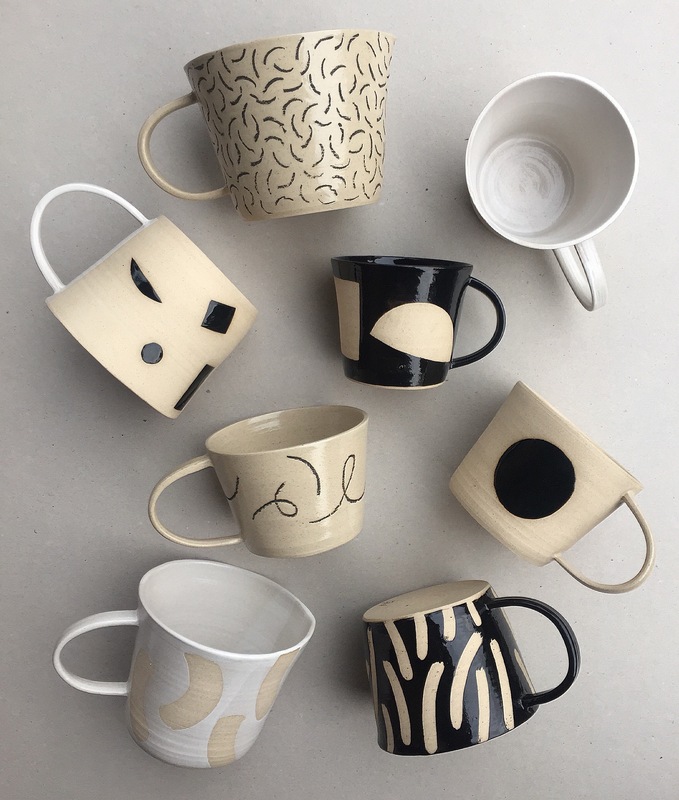 What has drawn you to work in ceramics? I really enjoy learning new techniques and honing my skills, there’s so much within ceramics that I don’t understand and it’s exciting figuring things out. I also really like making objects that are used everyday as opposed to being purely decorative. How long have you worked in this medium? Do you think you’ll try another medium in the future? I would never rule it out, but at the moment there is so much within ceramics I want to explore. What, if anything, has been the most difficult part of working as a potter? In recent years, has there been a highlight in your work? 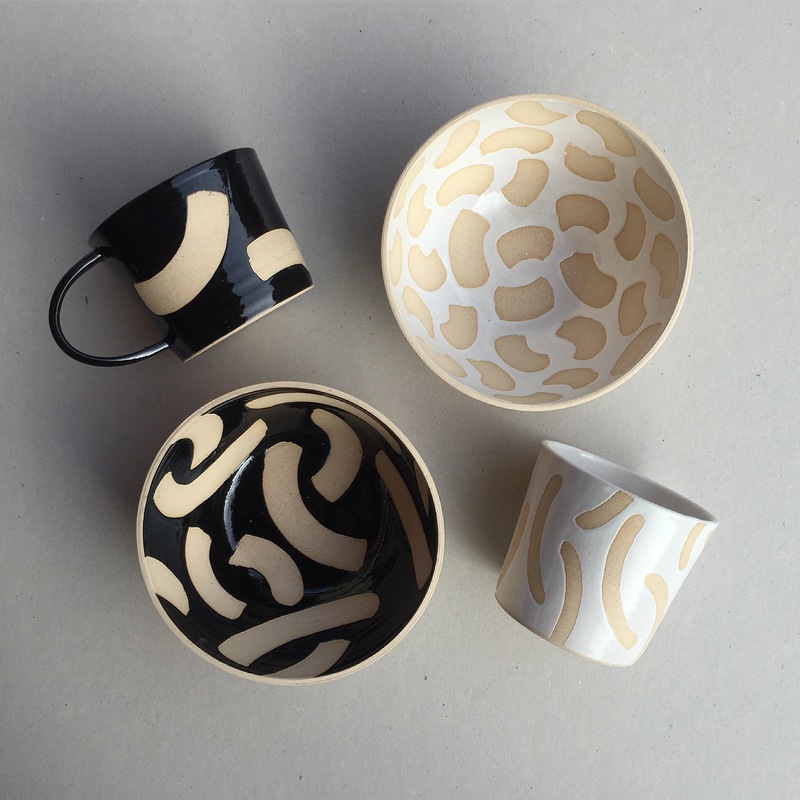 Last summer, I spent two months in New York working with a ceramicist called Helen Levi. It was invaluable not only because I learnt a lot of technical skill from her, but I also gained confidence in my own work and clarity in what I wanted to achieve. I’m very busy at the moment fulfilling wholesale orders, so there’s quite a lot of work ahead of me. I’d like to make some time to experiment a bit more too. Do you have any advice to students who are currently studying or graduating from Camberwell College of Arts? I remember being really stressed after I graduated that I wasn’t making work and I wasn’t prepared for the post degree lull that I experienced. So my advice would be enjoy it and don’t stress out!